Everyone loves discounts, and more when they are up to 90%… but only one day. 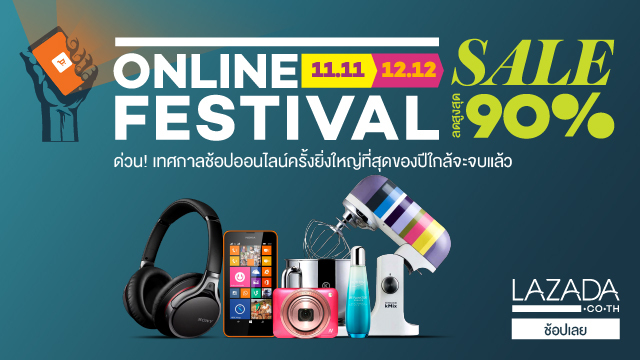 Some online shops celebrate today 11 November the Online Shopping Festival. And what is the occasion? Well, that it is 11.11, which is a cool number… and it is also probably inspired by Singles day, a new “tradition” coming from China. If you are wondering where to head to find this amazing deals, you are on the right place. We have collected some them here. If you know any other, please share it in the comments below. Let the shopping begin! Ensogo is all ready for the occasion. There will be discounts of up to 90% on selected products, so you better hurry before the good ones run out. The specific deals available on this promotions are available from 9:00 to 21:00 on this page. There are some special deals on specific times. The one running right now are the deals from 16:00 to 18:00. After that it will the last one, from 18:00 to 21:00. If none of the special promotions seems interesting, you can always take a look at the usual discounts for restaurants to super discounted travel deals, SPA and massages, gadgets and appliances… In Ensogo it is very easy to see the discount they are applying as it is in a little red box next to the image. Go to the deals already! Here the discounts are also promised to reach up to 90% in selected products. You can also have special coupons if you spend up to certain amount. If fashion is all you are interested in, you will be happy to know that Zalora also have special discounts on today. In this case, they are calling it Singles day, as they do in China. Here the promotion take different shapes, from discounts up to 80% to Buy 1 Get 1 and items at fixed price of 111, 211, 311 or below 500 THB. Definitely something worth checking out. We have scanned popular Thai shops looking for more deals, but we couldn’t find more as of now. As long as we find more, we will update this article. If you do before us, please share, so we can complete it. Happy shopping! Did you buy anything? Next story Where to find maps for public transportation in Bangkok?